In an effort to save a bit of money on transportation costs, AND to up my physical activity, I purchased a bicycle last spring. I had long been in the market for a waterproof hardshell, but it quickly became apparent that being outside everyday was going to require an accelerated purchase date. The restrictive price of Goretex and, at the time, my lack of full-time employment really limited my choices. I had my eye on a few options, even though some were obviously way out of my price range: the ORC Industries level 6 jacket, Triple Aught Design Spectre Hardshell, Beyond Tactical Ridgeback, and Arc'teryx Alpha. 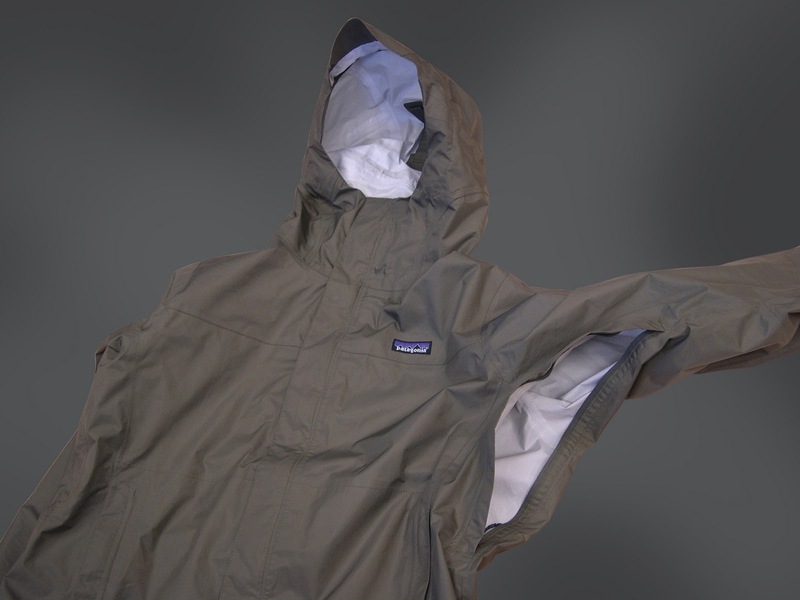 Unfortunately the majority of these jackets were in the $500 range, and while the ORC hardshell was sub $100, my friends who have it all complain that its breathability is non-existent and it was waterproof only until you rubbed up against something. 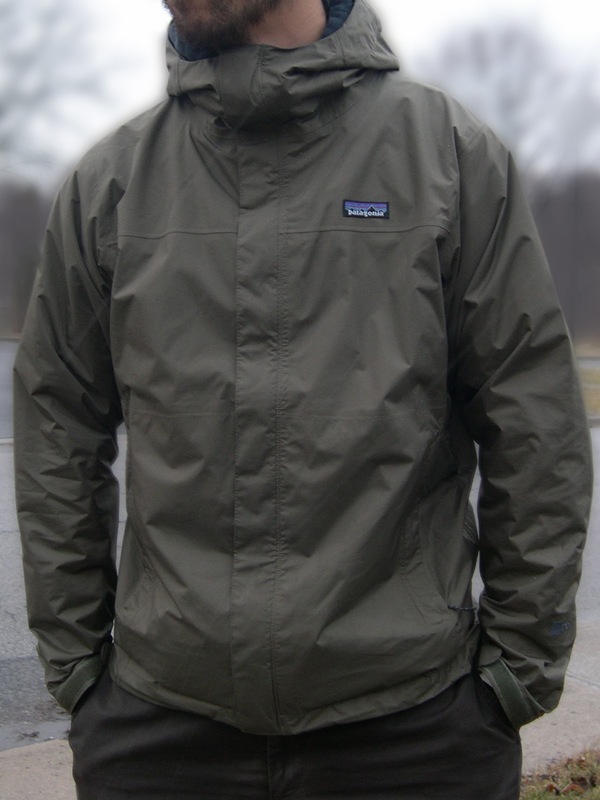 I began looking at Mountain Equipment Co-op's hardshell options and was encouraged by what I saw, but none of the jackets really had the cool factor that for some reason seems to play a big part in my gear purchases. And then it happened. I stumbled upon a diamond in the rough. 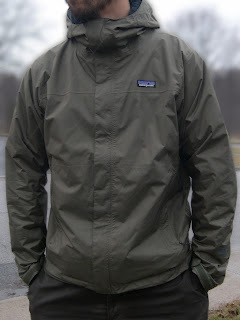 A sub-$150 hardshell, in Alpha Green and made by Patagucci… I mean Patagonia. Listed as Alpha Green, but in actuality, the colour is more like Olive Green. Generous pit-zips allow for ventilation when you get hot. After a bit of digging around online, I found that Patagonia had their fingers in the designs of the Block 1 generation of PCU. I remembered a while back seeing on ITS Tactical that Patagonia Mars was on sale at Diamondback Tactical. 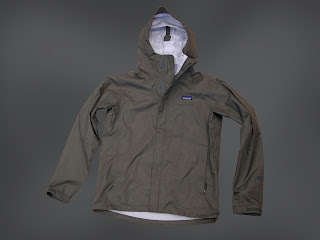 This prompted more research, and the discovery that Patagonia had at one time produced most of the PCU layering system. Unfortunately, most of it is pretty hard to acquire now, as it seems they are not producing certain of the jackets anymore. 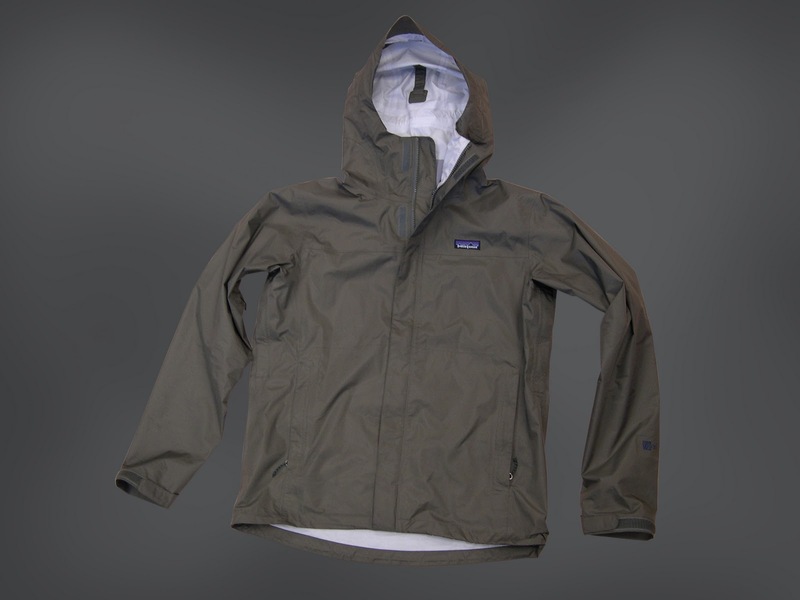 But the good news for me is that they still sell their hardshells; the Torrentshell and the slightly higher-end jacket the Rain Shadow. 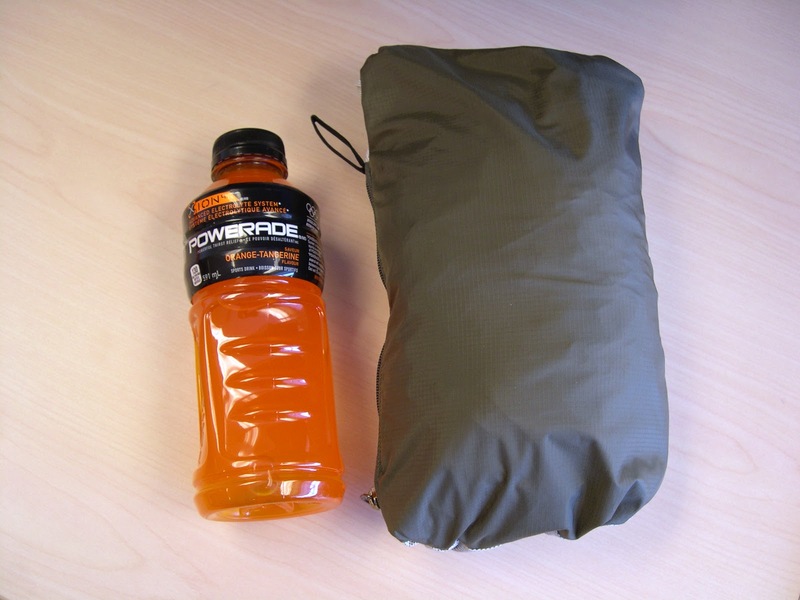 Both come in Alpha Green and both are very reasonably priced, probably because they are made with H2No fabric rather than Goretex. I found a retailer that had the Torrentshell shipped to my door for about $120, just in time for a camping trip up in Muskoka. I had gone to Sporting Life to try on some of their Torrentshells for sizing; however, they didn't carry the jacket in Alpha, and their prices were almost $50 more than online. I wear Medium/Regular and Patagonia's medium fit me just fine. Fast forward to now. I've been using this jacket for about four months. 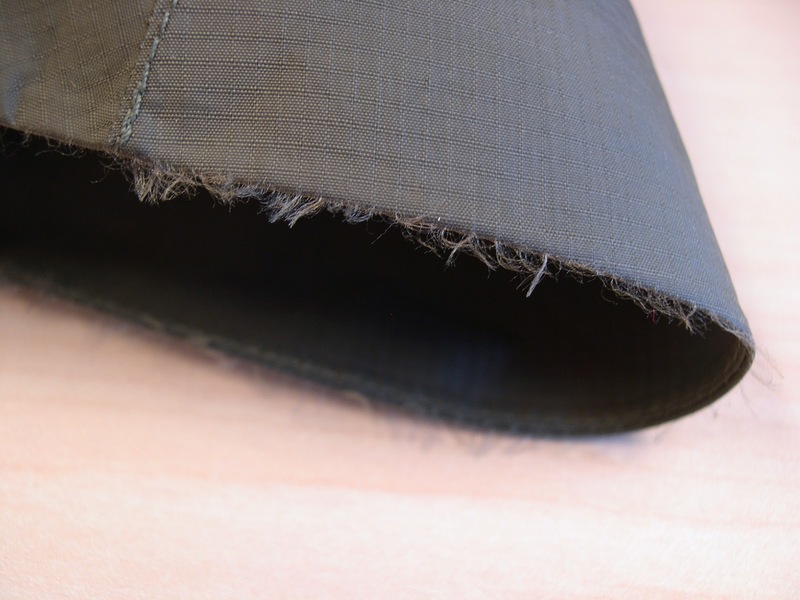 And if you've read my ORC level 5 review, you'll know that I had lost my softshell. So this jacket has really been my go-to for wet and windy weather. The first thing I noticed is that Patagonia's Alpha Green is more like olive green, when compared to ORC's level 5 Alpha Green. That being said, it's still a great colour, and I'm not really all that bothered by the difference. For the first few days, I noticed that the jacket's H2NO ripstop fabric did a great job of beading water off of the surface. I went trail riding in the summer during a light rain, and got pretty sweaty. I remember being a little disappointed, but to be fair, it was pretty hot out. There is only one pocket on the inside of the jacket, but thankfully it is quite generous. A close up of the brim of the hood shows the ripstop stitching, but also shows the fraying of the material. Hopefully it won't get much worse than this. 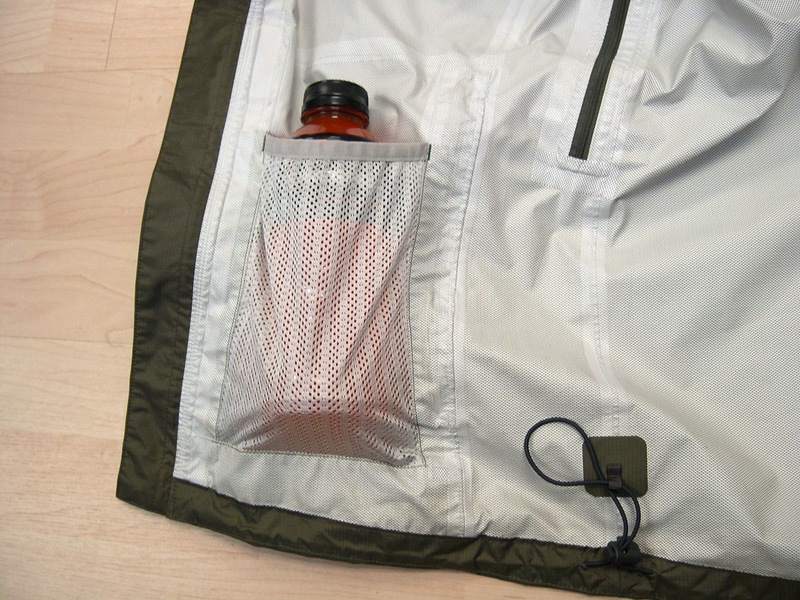 The jacket packs down into its own pocket, and has a loop for attaching it to a dummy cord. This photo was taken right after a ride in the rain. You can see it looks like the water has soaked into the jacket, but surprisingly, I stayed 99% dry. 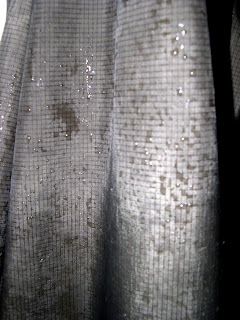 The majority of the wetness that I found in the jacket was from sweat, but it wasn't enough to get my base layers wet. On a few other bike rides around the city, I brought the Torrentshell, and was glad to have it when it started to rain. I noticed that water no longer beaded like it did before, and looked like it was actually soaking into the jacket...however, every time I took off the jacket, my shirt was dry. The only time I notice water getting through the jacket is when I rest my forearms on my bicycle's tri-bars. I guess the friction gives the water no other choice but to go through the jacket. I also notice that when I am wearing a pack, the jacket will "wet out" where the straps rub the jacket. As of today, I haven't had more than a few drops come in at those points. As I wait for my level 5 in the mail, I've been using the Torrentshell to commute by bicycle, down to temperatures of -20°C (-4°F) with windchill (paired with base layers and fleeces). So far I have been very pleased with the wind protection and warmth it provides. As for breathability during static activity and walking, I'd say that it's actually not that bad for temperatures under 15°C. In temperatures over 15°C, anything more than a light walk will probably have you noticing a fair amount of sweat built up inside your jacket. For active activity, you could wear it with a T-shirt down to 0°C comfortably, and anything colder, you'd be fine with a level 2 grid fleece. For the price that I paid, I'm actually quite thrilled with the performance. I hope that the jacket continues to keep me dry. I want to wait until I've had the jacket for about a year before I do a full review because I think it's unfair; conclusions will be inaccurate to one done any earlier. So stay tuned! In the meantime, I'll have lots of other posts to keep you informed and entertained! If it possibly, you can tell, where this jacket is made? You very much will help me. The tag says Made in China. Hope that helps! Approximately three weeks ago, I got the Beyond Clothing L-6 PCU Gore-tex jacket and pant set. Pricey? You bet! Worth it? HELL, YES!!! The jacket & Pants are loose enough that layering for cold weather is easily done and for summer use - still loose enough to provide good ventilation. Worth every penny!! !